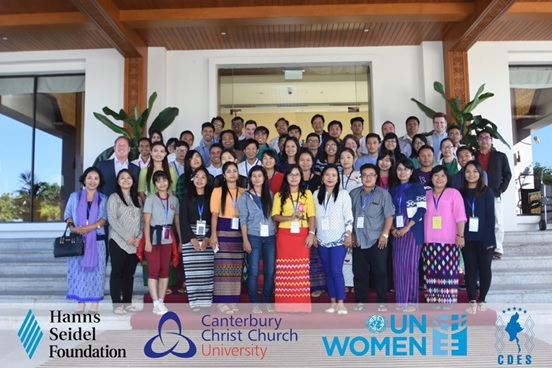 Two staff members of Canterbury Christ Church University’s Politics and International Relations team have recently been involved in discussions about the democratisation, peace-building and federalisation process in Myanmar/Burma. Dr Soeren Keil, Reader in Politics and IR was the Academic Lead for a new Myanmar Federalism Leadership Programme (MFLP), a 10-day programme to prepare activists from civil society, the administration, ethnic armed organisations and political parties for the future discussions on federalism in the country. This is particularly timely, as the next round of the 21st Century Panglong Peace Conference is scheduled for January 2018. Soeren worked in Nay Pyi Taw, the country’s capital city, from 16-26 November 2017. He represented Canterbury Christ Church at the event, and was in charge of multiple lectures, discussion rounds and inputs. The event was co-organised with UN Women, the Hanns Seidel Foundation and the Centre for Development and Ethnic Studies. 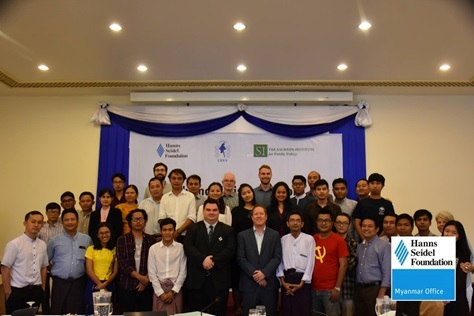 After his work at the MFLP, Soeren participated in two further events, one with a number of civil society activists in Yangon (Rangoon) from 3-5 December 2017 on ‘Advanced Discussions on Federalism’, and another event as a discussion forum with the civil society forum for peace, a collection of several NGOs from across Burma. 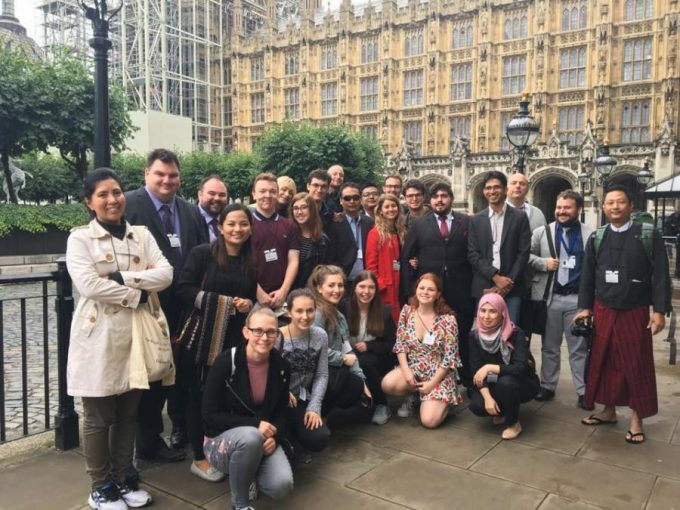 Paul Anderson, PhD student in Politics and International Relations, also contributed to the MFLP with a lecture on autonomy, secession and minority rights, with particular reference to Scotland and Catalonia. 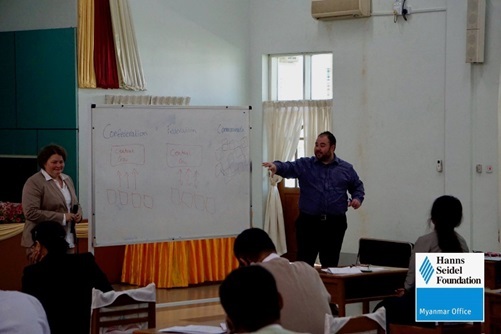 In addition to this, Paul spent five days (20 to 24 November) at the Lower Myanmar Civil Service Campus in Phaunggyi, training 35 civil servants on the topics of democracy, decentralisation and federalism. 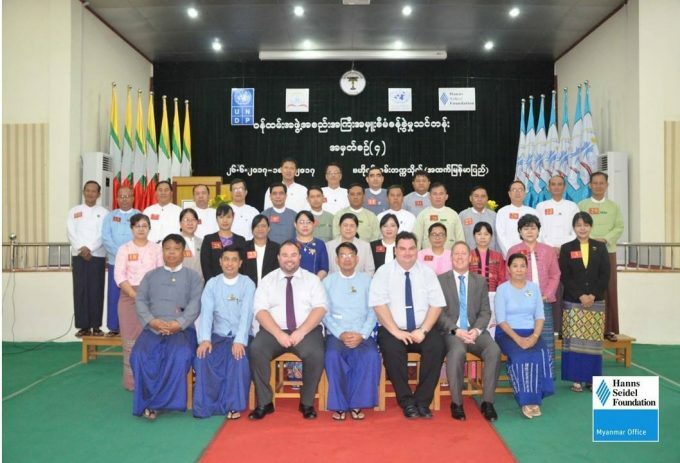 Both Soeren and Paul contributed to raising Christ Church’s profile in Myanmar/Burma and they have become well respected experts in the country, sharing their knowledge and expertise with a number of actors in the peace process, including leading NGOs, ethnic armed organisations and the civil service. Their work contributes to the wider activities of Politics and International Relations in the field of supporting transition processes in post-conflict societies, with a special focus on advice for territorial reform, decentralisation and federalism.